This would be the last year for any 2 door version of the Eagle and the last year AMC built any 2 wheel drive cars of their own design. Beginning in 1984 remaining Eagle models would be built in Brampton, Ont. The Kenosha plant would be used for their Renault models. 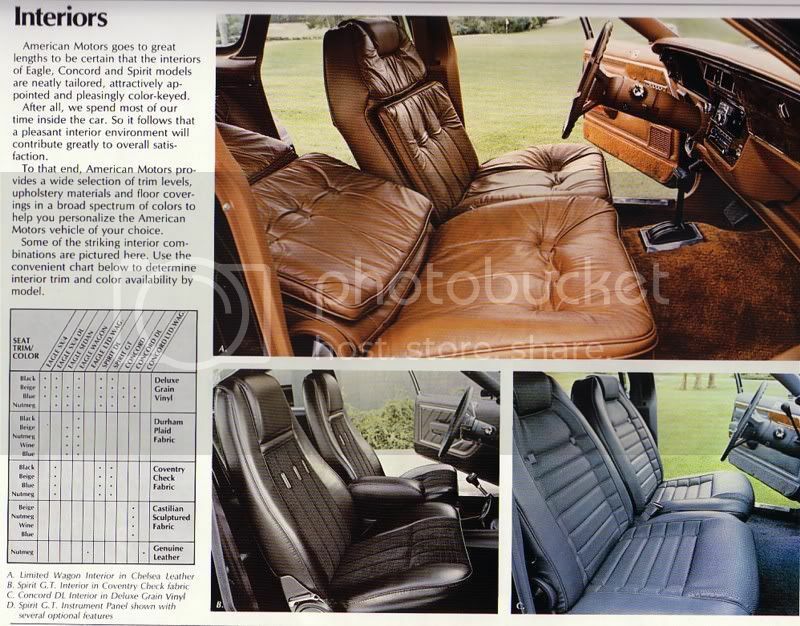 1983 AMC Eagle 4 Door Sedan; a total of 3,093 were produced..
1983 AMC Eagle SX/4. 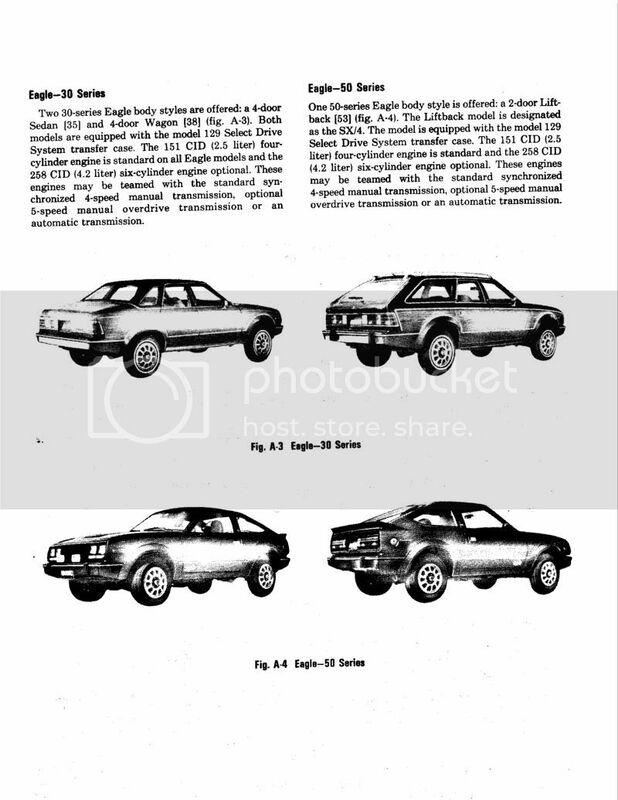 As two doors were phased out only 2,259 were produced. 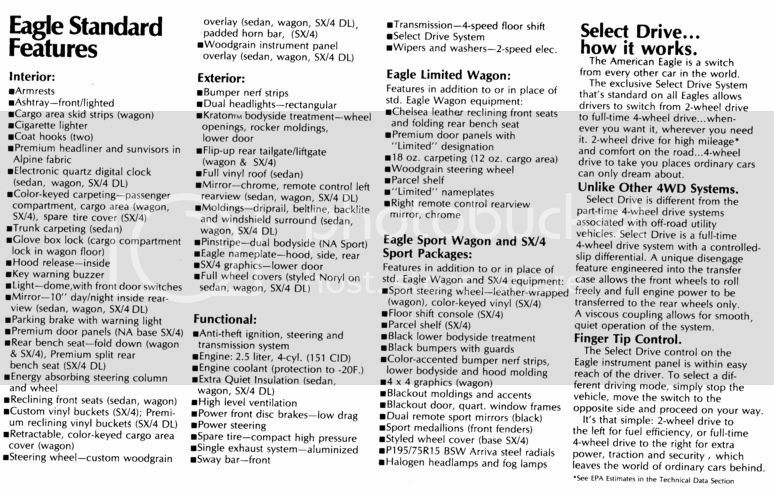 Even though the SX/4 was only available for three years it was the second most popular Eagle model. 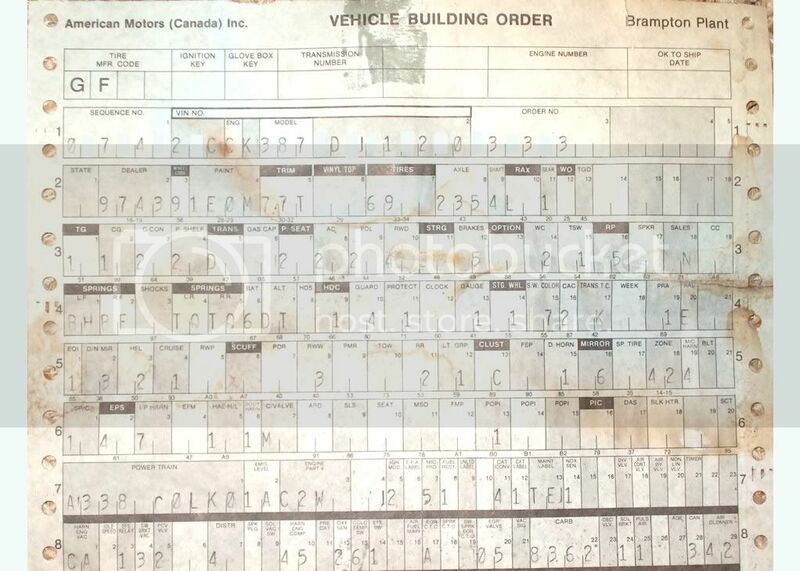 Early AMC advertising materials for the 1984 model year still listed the SX/4 as being available; however with the Eagle production being moved to Brampton, Ont., this never came about. Although AMC did not typically offer 1/2 year models they did start using the newly designed AMC 2.5 engine (2.46L, 150 CI) in only the SX/4 and it was introduced as a 1983 1/2 model. 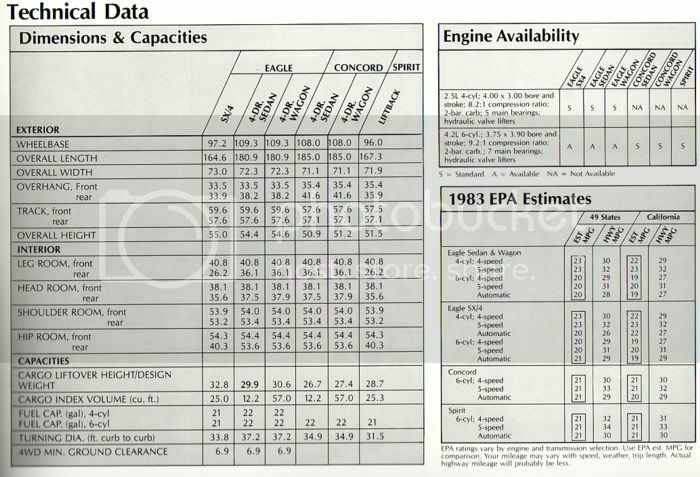 This was AMC's first in house 4 cylinder engine based somewhat on the 258 it in turn would provide the technology for the 4.0 I-6 used at least thru 2005 by Jeep. Interestingly enough it only had a 1 bbl carburater. 1983 AMC Eagle Wagon, was selected the official vehicle for the National Ski Patrol. 1983 AMC Eagle Wagon with towing option. 1983 AMC Eagle Wagon. (Owner member: EagleFreak). Wagon sales dipped to 12,378 during this model year. 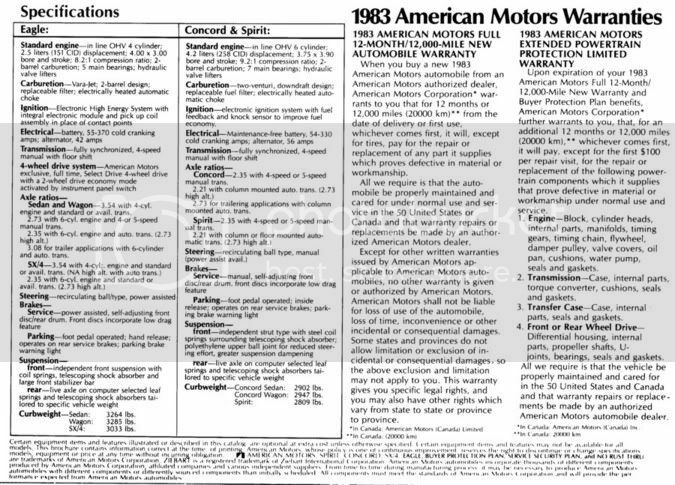 1983 American Specifications and Warranties. 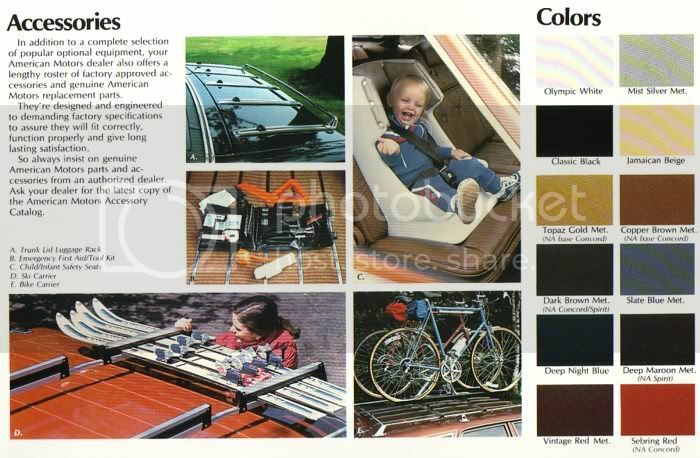 1983 AMC Eagle Accessories and Colors.